Motorola and Verizon have had a special relationship under the Droid banner since the first Droid came out in 2009. Since then, Motorola has been bought (by Google) and sold (to Lenovo) and it’s now making the new Moto X and the recently announced Nexus 6. But Verizon still gets Motorola exclusives, and the latest, the Droid Turbo, may be the most desirable Motorola phone this season. The Droid Turbo will have some of the best specs available on a Android phone. It’s got a 2.7GHz quad-core Qualcomm Snapdragon 805 chip, 3GB of RAM and 32GB of built-in storage. That chip is the same one that’s in the Nexus 6 and it’s an upgrade over the Snapdragon 801 that’s in the Moto X. It works on Verizon’s XLTE network. There’s a 21-megapixel camera on the back. That doesn’t necessarily mean it’s a better camera than the 13MP camera on the Moto X — it could just mean it makes bigger files — but [company]Motorola[/company] said it has done a lot of work to make the camera fast to start up and focus. Plus, the the Droid Turbo should be capable of 4K recording. It’s got a 5.2-inch screen running at a 2560 x 1440 resolution. That’s the same number of pixels in the screen on the Nexus 6 (and Galaxy Note 4, as well as the LG G3) but in a 5.2-inch screen, the same size as the new Moto X, which feels downright compact these days. That works out to 565 pixels per inch for one of the most pixel-dense screens on the market. But the Droid Turbo is going to hang its hat on its battery life. Verizon says the handset can manage “up to a 48-hour battery life,” and that wouldn’t surprise me thanks to its 3900mAh battery. It makes the Droid Turbo a successor of sorts to the cult favorite Droid Razr Maxx, which is one of the only devices that has compromised a thin build in favor of a huge battery. Motorola’s Turbo charging feature will also be available on the eponymous Droid Turbo, which will come with a Turbo Charger in the box. This specialized charger takes advantage of Qualcomm technology to provide up to eight hours of run-time in 15 minutes — so even though the battery might be large, it won’t take a long time to fill up to a usable level. 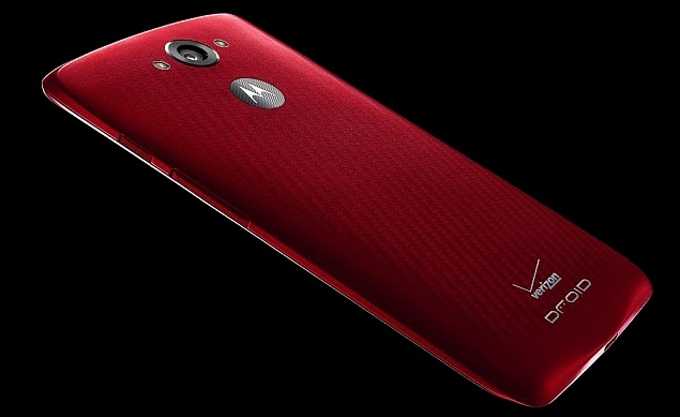 Verizon’s going to support the Droid Turbo with a few deals, including waiving activation and upgrade fees. There’s also an intriguing screen replacement program being introduced with the Droid Turbo: one time per contract period, you can get a free, like-new handset if your screen cracks. When the Droid Turbo goes on sale for $200 with a 2-year Verizon contract on October 30, it will immediately become one of the nicest Android phones available this fall — especially if you don’t want to mess with the huge 6-inch screen on the Nexus 6. The only question is whether it’s enough to convince you to switch to Verizon.